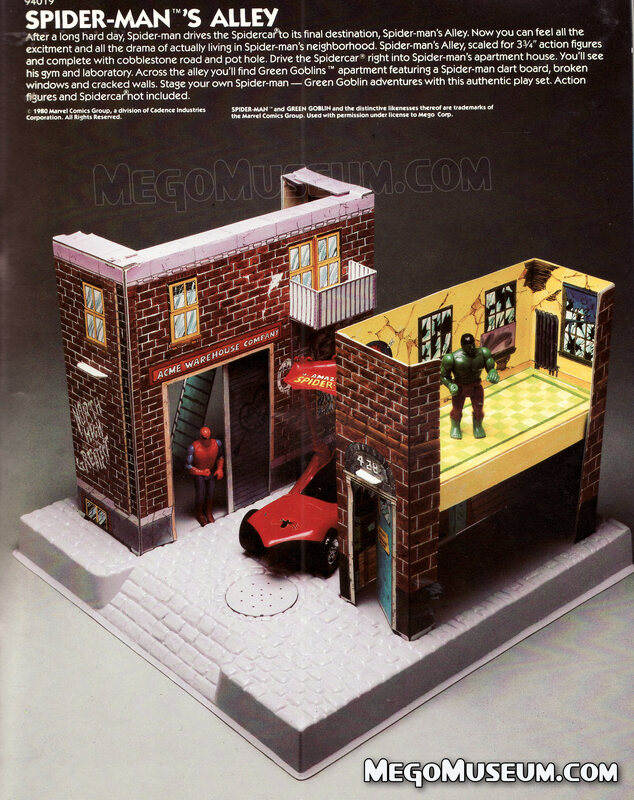 The Mego Spider-man’s Alley Playset has rarely been seen save for the Toyfair sales film (featured below) but we’ve found a rare glimpse of it in an earlier version of the 1980 Mego Toyfair package. The concept is a bit odd, essentially one side is Spider-Man’s apartment complete with gym while the Green Goblin lives across the street in a trashed room complete with Spider-Man dartboard. Oh the hi-jinx these neighbours would have! Not sure why the Hulk is there at all really, he looks confused. 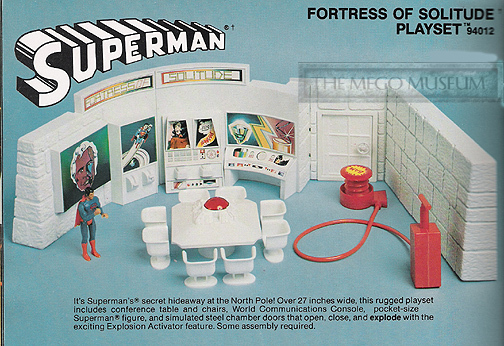 The Movie Fortress of Solitude, this made sense, this should have been sold. A closeup of the Set, check out the movie references. 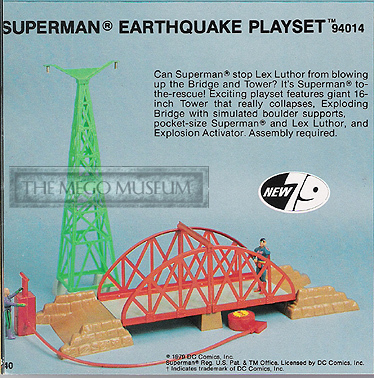 This Mego Superman playset also made sense (but what a rehash!). 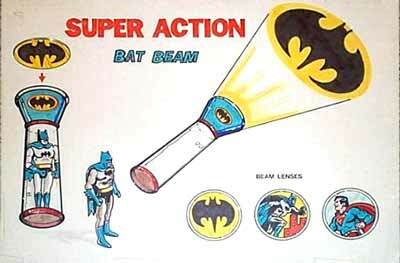 This concept drawing for the Mego Bat Beam seemed to integrate flash light with action figure. Photo courtesy of the John Bonavita Mego Archive.